•	The Australian Parliament recently passed legislation to establish the Skilling Australians Fund and implement restricted labour market testing criteria, with a commencement date expected in June 2018. •	Additionally, the 2018-2019 Australian Budget delivered a number of updates including further refund and exemption provisions for the Skilling Australians Fund, implementation of the Peru-Australia Free Trade Agreement and special visa arrangements to address doctor shortages. The Australian Parliament recently passed legislation that addresses previously-announced labour market testing changes, and a Budget that will result in immigration-related changes. The key changes are discussed below. The TSS visa holder leaves the employer within the first 12 months of employment. This will only be applicable in situations where the validity of the visa granted was longer than 12 months and refunds will only be available for the unused full years of the levy. Labour Market Testing. Universal, mandatory labour market testing (LMT) was introduced in March 2018 as part of the TSS visa implementation, and the Bill to introduce a legislative framework for LMT passed Parliament on May 9. Commencement of the legislation is expected as early as June 2018. Employers must run advertisements for at least four weeks in at least two different national media publications or in a national recruitment website (previously, the advertisement must have run for at least 21 days). Apart from the two changes discussed above, Fragomen expects that the regulations that will give effect to the LMT requirement will otherwise be the same as current Department of Home Affairs (DHA) policy. At this stage, there is no indication from the DHA on whether current policy concessions to LMT will remain once the new framework comes into effect. 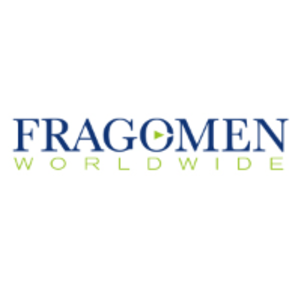 Fragomen will continue to monitor the release of further information about the forthcoming SAF levy and labour market testing changes and will provide updates as they become available. Exemptions for Peruvian Intra-Corporate Transferees. Although not yet in force, a Free Trade Agreement between Australia and Peru negotiated in February 12, 2018, would eventually allow Peruvian nationals to be exempt from LMT requirements when entering Australia as an intra-corporate transfer from a business operating in Peru to its Australian branch office or to an Australian associated entity. This extends other LMT exemptions that apply under other free trade agreements in place. Visas for general practitioners. The Australian Government has made funds available in the Budget to source overseas trained general practitioners to address areas of doctor shortages. Retirement Visa program. The subclass 405 Retirement visa program will be closed to new applicants. A permanent residency pathway will be introduced to transition all current subclass 405 Retirement and subclass 410 Investor Retirement visa holders to permanent residency. Government lodgement fees. Government lodgement fees typically increase on July 1 each year and are announced in the weeks following the budget. An increase is expected in some lodgement fees at this time. Access the Australia reforms microsite for up-to-date information on the new visa program.